Amazon’s wonderful Alexa virtual assistant may have a fairly decent fan and user-base amongst those who own some of the company’s hardware – such as the Echo or Echo Dot – but it’s about to be presented to a much wider and engaged audience. Amazon has just announced that it will be rolling out the Alexa experience into its main app for iOS, meaning that everyone who uses that app for shopping and Amazon account management will instantly get access to Alexa, including all of the power and functionality that the virtual assistant offers. 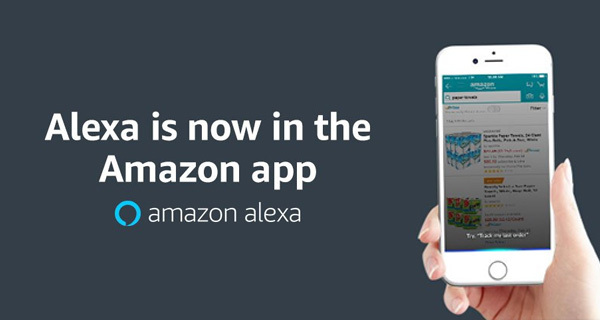 Considering the company is rolling out the Alexa voice services into its main shopping app it would be easy to assume that the functionality will be limited to just allowing app users to order goods, or track specific deliveries of items which have already been ordered. However, that simply won’t be the case, with Amazon choosing to integrate the full power of Alexa into the main shopping app experience. In addition to using voice commands to order items, and add to lists and the like, users will also gain access to Alexa’s ability to control connected hardware in the home, check weather and the news digest, and even Alexa’s impressive and growing library of Alexa Skills. This will immediately expand the proposition and make Alexa more capable, and, perhaps most importantly, those using it won’t even need to have access to Amazon hardware, such as the Fire TV or aforementioned Amazon Echo. So, while shopping and spending money with Amazon via voice commands, users will be able to control things like a Philips Hue installation in the home, or play specific songs or playlists through a Spotify account accessible by Alexa. Any Amazon app user who has been patiently waiting for the moment that they can use voice to order goods, or simply force Alexa into rapping for them or outlining exactly what the Prime Directive is, will be able to take advantage of the new powers when the app update officially rolls out next week. iOS 10.3 Beta 7: Are There Any Changes Or New Features? There has already been an iOS Amazon Alexa app available for quite some time.